Goat anti Cholesterol 24 hydroxylase antibody recognizes cholesterol 24-hydroxylase (CYP46A1), a ~58 kDa member of the Cytochrome P450 family, expressed in the brain. CYP46A1 converts cholesterol into the biologically active oxysterol and 24(S)-hydroxycholesterol, in the first step of the enzymatic degradation of cholesterol in the brain. CYP46A1 is also thought to play a role in the metabolism of neurosteroids and drugs that can cross the blood-brain barrier and are targeted to the central nervous system. P450 enzymes are divided into two groups: steroidogenic and xenobiotic. The latter group is comprised of three families 1, 2 and 3. The xenobiotic p450's are involved in most oxidative drug metabolism. Antisera to cholesterol 24-hydroxylase (CT) were raised by repeated immunisations of goats with highly purified antigen. Synthetic peptide corresponding to amino acid sequence 254-270 of human cholesterol 24-hydroxylase protein. AHP1254 detects a band of approximately 58kDa in human Alzheimer diseased brain lysates. Pikuleva, I.A. (2006) Cytochrome P450s and cholesterol homeostasis. Pharmacol Ther. 112 (3): 761-73. Mast, N. et al. (2003) Broad substrate specificity of human cytochrome P450 46A1 which initiates cholesterol degradation in the brain. Ng, P.S. et al.  (2003) Production of inhibitory polyclonal antibodies against cytochrome P450s. Drug Metab Pharmacokinet. 18 (3): 163-72.